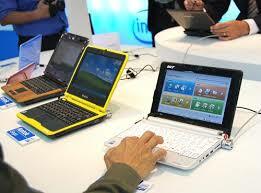 Mobile Health Computing: What Role will Netbooks Play in Healthcare? What Role will Netbooks Play in Healthcare? What role do netbooks have in the world of medicine? Do doctors and other healthcare professionals use netbooks? Are they more like toys or do they serve a practical application? More medical students will purchase and use a netbook so they can have something small and light when they go to the bookstore (or Starbucks) to study. After all, netbooks are inexpensive and medical students don't typically have a ton of cash. These students are more likely to continue using netbooks as they recognize the value of mobile computing. As a result, they will be netbook users during residency and even after they complete their training. Not convinced that more physicians may become netbook users? How about another this? Because of the recent push to implement electronic health records (EHRs), we will see more EHRs being utilized in the near future. This may also translate to an increased use of computerized physician order entry (CPOE). This means that physicians who are "on call" may need to have access to a computer if they wish to enter orders. Instead of carrying a laptop when they go out to dinner (or to a party or any other social engagement), they may opt to carry a really tiny PC (also called a netbook) like the Sony Vaio P. This thing is so small that it fits into a purse! Netbooks may become the perfect companion of physicians who need to have access to a computer for their CPOE needs. So, is there a chance that netbooks will gain traction among physicians? I can think of two good reasons to say "yes."